Cats prefer to be cared for, receive love and have fun in the comfort of their home. FUNanimal Pet Services makes sure your pet has FUN while you're away! Dog Tricks classes sign-up in progress! Learn how to teach your dog many fabulous tricks to impress your friends or bring joy to others in therapy dog visits, etc. It's also a great way to further bond with your dog! Contact us if you're interested! PUPPY AND DOG MANNERS CLASSES - Contact us if you're interested! New classes are forming! Dog Obedience practice - Practice with a casual group of knowledgeable dog obedience people and their well-behaved dogs to get ready to compete in trials! Ask for more information. Our mission is to provide PHENomenal in-home care to all kinds of furry, feathery and scaly pets with a focus on FUN while providing peace of mind to their owners through FUNanimal's web cam. (We also care for special needs pets!) 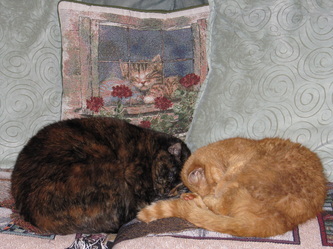 Our pet sitting visits includes extra quality time to mentally stimulate your pet. To reach your dog training goals, we use positive reinforcement and adult learning principals in our dog training classes. You will better absorb the lessons and your pup will enjoy learning! With our wide range of services including pet "doo"ty pick-up, pet taxi, mid-day and evening dog walking, the busy pet owner can go about their daily business guilt-free! Private in-home dog manners and trick training lessons are available now! Introducing "Busy Bee" packages for those that want to train their dog, but are unable to commit to classes! Group classes are also available! Let us know if you're interested! Check out our Services link for details. Worried about leaving your pet behind while you're on vacation? FUNanimal Pet Services offers an innovative approach to pet sitting by providing web access for you to watch your pet getting cared for and the ability to check in on your pet 24 hours a day! Looking for the perfect gift for the animal lover in your life? Ask about our "Tales of Tails" Pet Story-writing service, our Pet Photography service and our Dog Trick Shows to entertain your next party or event. Southern Prince George's County / Anne Arundel County and Northern Charles County / Calvert County now have a "funanimal" choice in pet care and services! 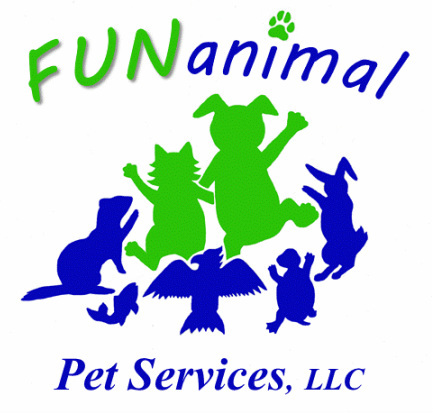 Other areas may enjoy funanimal services as well! Contact us for a quote! FUNanimal Pet Services strongly encourages all those that are looking for a pet to do your research before you commit to getting your new furever companion. Never buy a puppy from a pet store or just anyone off of the Internet, for you would likely be supporting the horrible Puppy Mill industry. Learn more about Puppy Mills here. Adopt when possible, but if you are buying a puppy, be sure to research the breed to see if it will fit your life style, then contact your local breed club for recommendations on how to find a reputable breeder. Please join in our effort to close down Marjorie's Kennel, a puppy mill of Keeshonden in New York who completely neglects her 50+ remaining dogs cooped up in kennels outside. 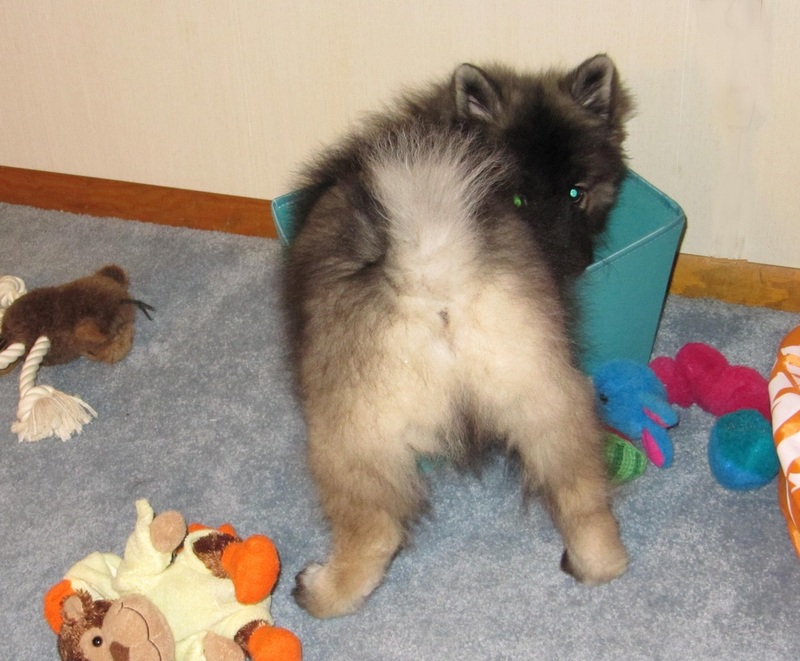 Months ago, Marjorie had agreed to turn over all of her dogs to Keeshond rescue (the FUNanimal demo dog, Clancy, is a Keeshond!) 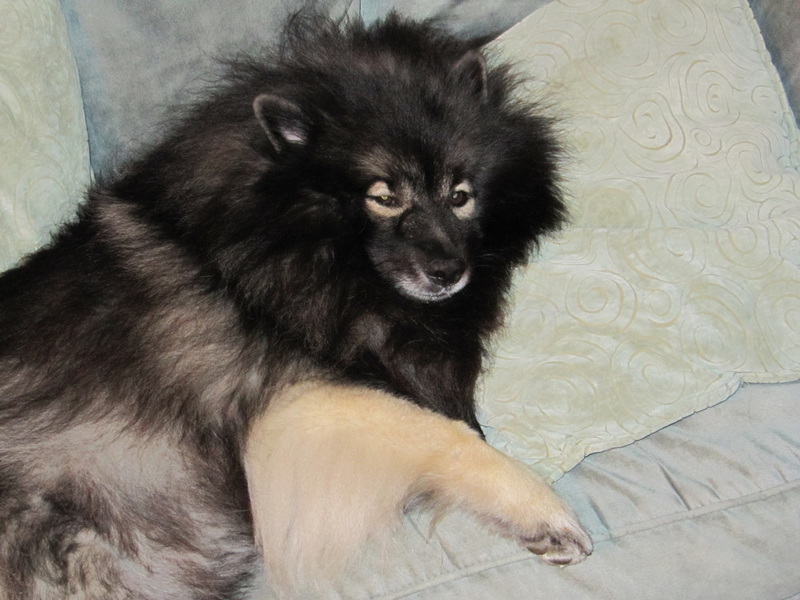 The Keeshond rescue community raised the funds and found all the homes needed to rescue and foster all of her dogs. We were able to rescue 60 dogs (some of them you see their "before and after" pictures in the flyer on the left) before she backed out of her promise. We need everyone's support to pressure her to turn over the rest of her dogs to Keeshond rescue. Please learn more and sign the online petition at www.KeesRescue.com. For every milestone met in signatures on the petition, FUNanimal Pet Services will create a video of Clancy doing a fun trick routine! Check out his playing the bongos video which was to celebrate 10K signatures here. There's so much more, so be sure to subscribe to our YouTube channel to see more fun videos of dog tricks and more! SO MANY TRICKS UP OUR SLEEVES! ~ FUNanimal Pet Services demo and performance dog ,"Clancy", has recently achieved his CHAMPION Trick Dog title, his Companion Dog title (obtained through Obedience Novice competitions), his Rally Excellent title and his North America Diving Dogs title! Enjoy the video below that was submitted as part of his application for the Champion Trick Dog title (which had to be submitted as unedited and show all the components needed to reach this highest level of dog tricks title). Please also subscribe to the FUNanimal Pet Services YouTube channel to witness more great videos, including dog trick tutorials! Contact us to enter a drawing for a FREE Trap-Neuter-Return of a feral cat. Drawing is held monthly with the support of Cinda Bennett from AllState Insurance. Introducing the FUNanimal Meet-up Group where dog owners have the opportunity to meet and practice what they already know with their dog! PRACTICE MAKES PERFECT. The more time you take to reinforce your dog's training, the more consistent your dog will be in listening to you. The FUNanimal Meet-up Group meets up to a couple of times a month to practice obedience, Rally obedience and even other dog training opportunities including dog tricks. We meet in a public setting around other trained dogs. It's a great opportunity to socialize and to work your dog in different settings to improve focus in all situations! Group classes or workshops are also available. Contact us for more info or to RSVP to events. You can check out upcoming Meet-ups and RSVP through our Meet-up.com group, too (or just give shoot us an e-mail or give us a call!) Membership is free as well as many of the activities!